There’s nothing we love more than a good piece of architectural eye candy and there’s no better lens than the annual World Architecture Festival — which just revealed the finalists for its 2015 Awards. While the winners won’t be announced until the three-day festival commences in Singapore this November, you can click here to choose your favorites. Let us know your choices in our comment section at the end of this post and why you like them. Check back in November to find out who won each of the 31 categories as well as the title of “World Building of the Year 2015.” In the meantime, please peruse our own favorites below. 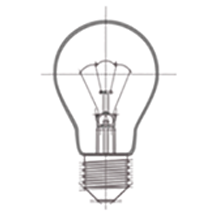 We accounted for both form and function, but mostly just looked for the “wow” factor. 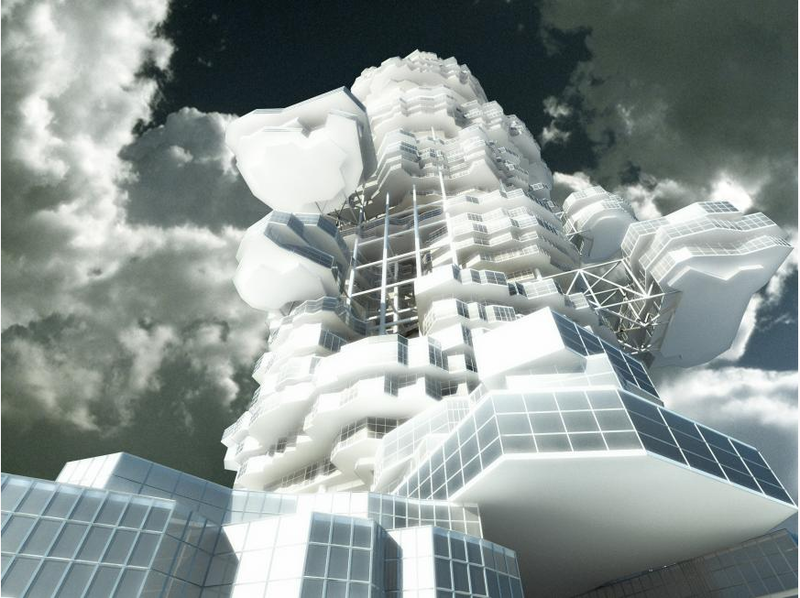 Category: Commercial Mixed-Use – Future Projects; Entry: Cloud City by Union of Architects of Kazakhstan; Project city: Singapore; What we love: The sheer vision and audacity of this Super Building blew us away. 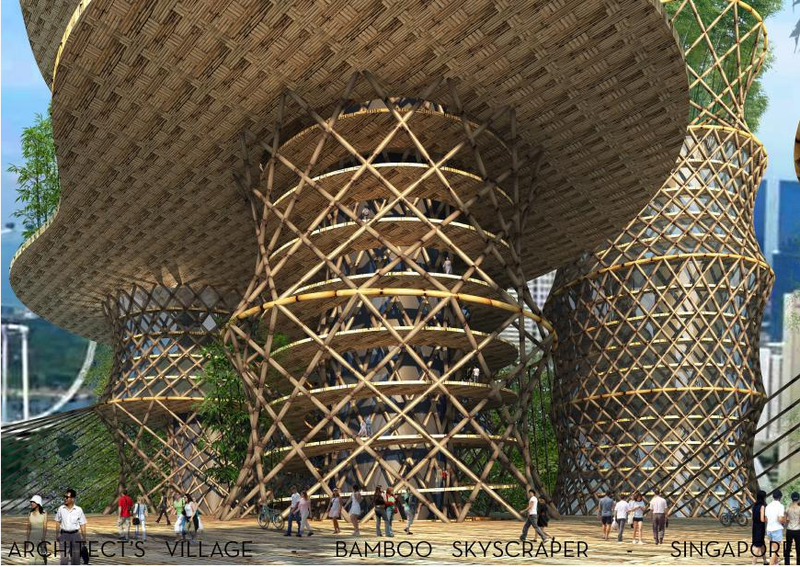 Category: Competition Entries – Future Projects; Entry: Bamboo Skyscraper by CRG Architects; Project city: Singapore; What we love: This is a wonderful showcase of a renewable material, but the beauty and scale are also breathtaking. Category: Experimental – Future Projects; Entry: Solar Orchid by aLL Design; Project city: Singapore; What we love: We would for sure take a selfie in these solar-powered pods that make great use of the this waterway in Singapore. Category: Experimental – Future Projects; Entry: Home Farm by SPARK; Project city: Singapore; What we love: Instead of walking out into your backyard to tend to your garden, imagine having a vertical garden on the facade of your apartment. And the courtyard of your complex is filled with a farm and produce market. That would be pretty awesome! Category: Residential – Future Projects; Entry: E37 Street Residential Tower by Perkins+Will; Project city: New York City; What we love: Love the translucent quality of this building sandwiched between two brick ones. This slender 60-story tower also rises well above the city skyline and has staggered open-air terraces and tree-lined parks inside the building. The overall core thickness is half the size of most skyscrapers, eliminating the need for corner columns. 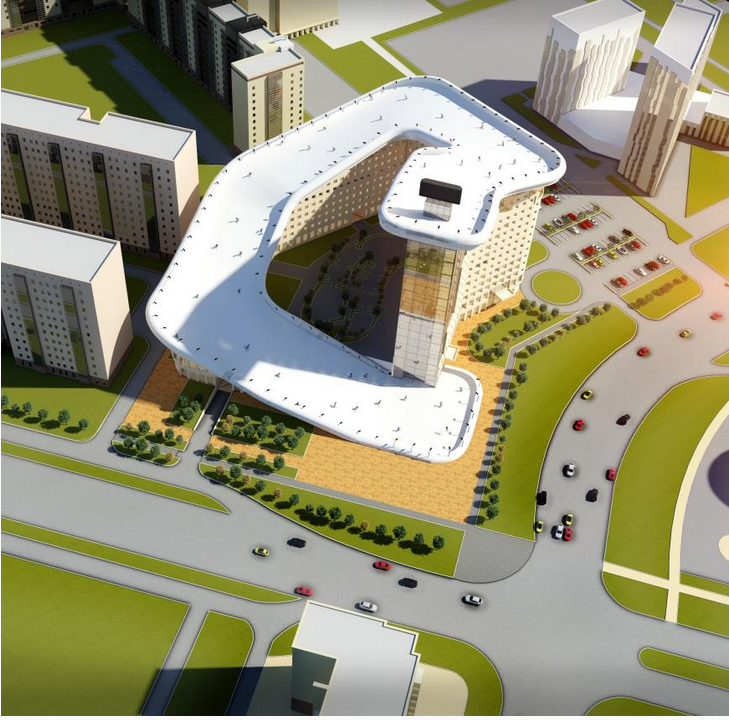 Category: Residential – Future Projects; Entry: Slalom House by Union of Architects of Kazakstan; Project city: Astana, Kazakhstan; What we love: Are you kidding? An apartment building with a slalom course! 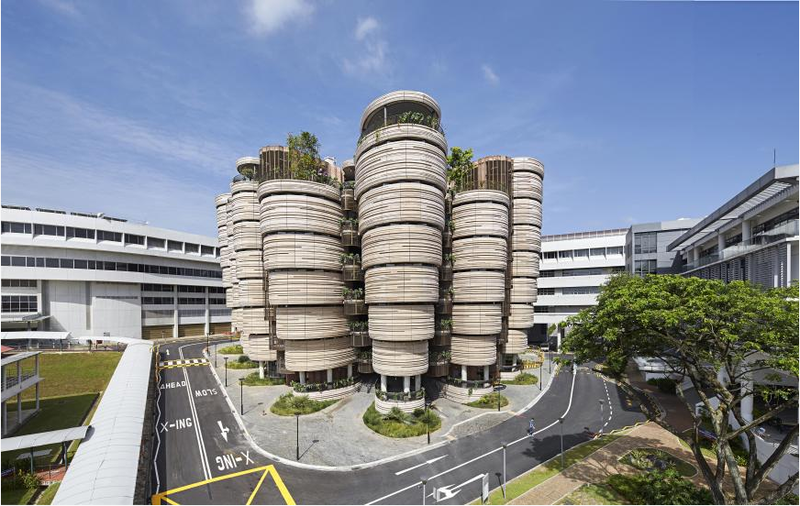 Category: Higher Education and Research – Completed Buildings; Entry: Nanyang Technological University by Heatherwick Studio and CPG Consultants; Project city: Singapore; What we love: From afar, the columns of this building look like they are wrapped in spider webs, but up close the details of the etched facade look like they were layered on top of one another with a 3D printer. 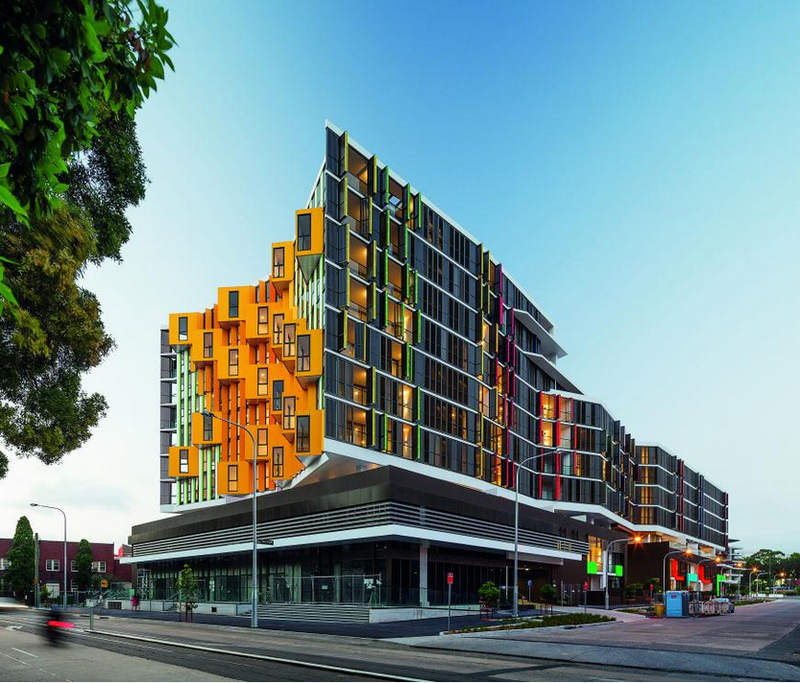 Category: Housing – Completed Buildings; Entry: Viking by Crown by MHN Design Union; Project city: Sydney, Australia; What we love: In a field full of glass and metal reflective materials, this project’s use of color popped for us. 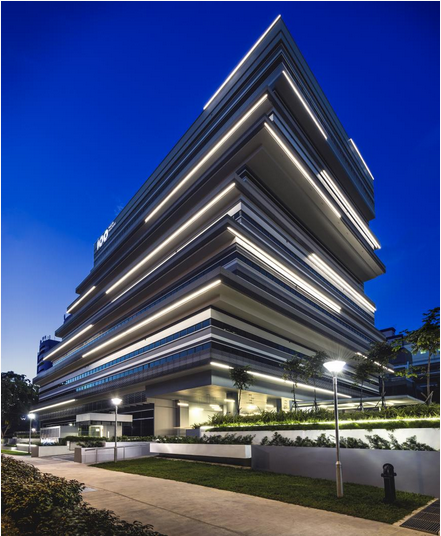 Category: Office – Completed Building; Entry: 100PP by Ministry of Design; Project city: Singapore; What we love: Sleek and modern design at its finest. 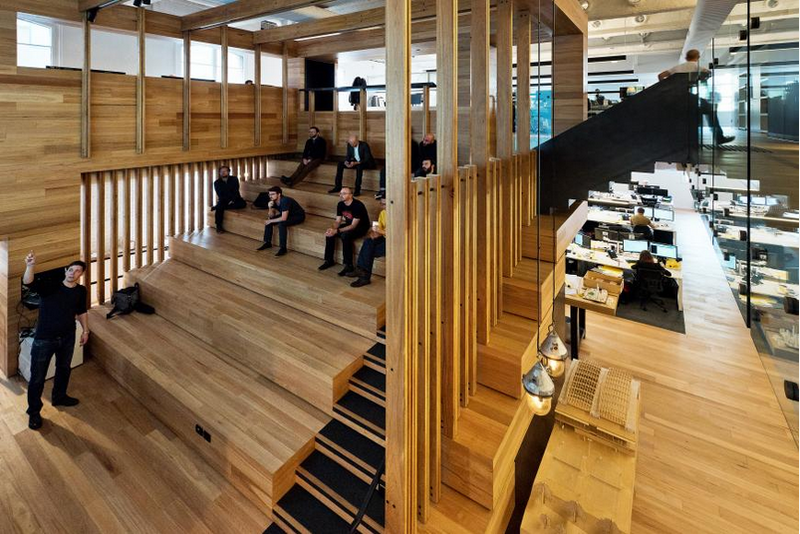 Category: Office – Completed Building; Entry: Box Office by COX Architecture; Project city: Melbourne, Australia; What we love: We want to work here. It’s just so Brooklyn. 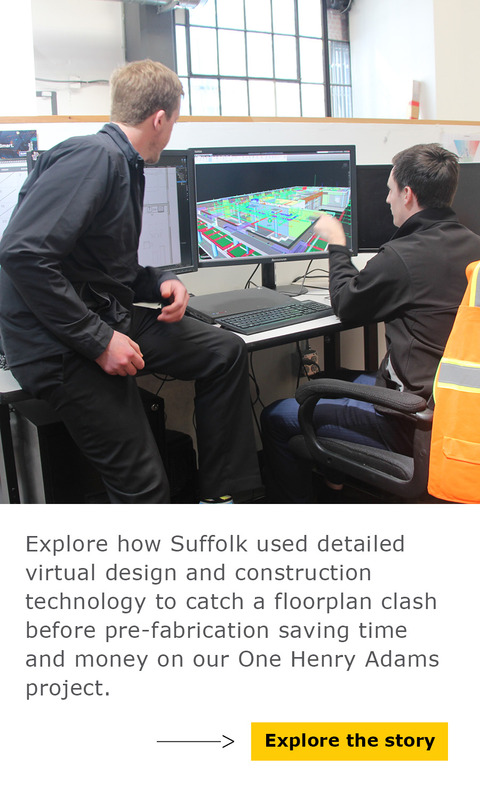 Plus it’s only one of two submissions in the category to showcase its interior workspace, which is sort of an important aspect of an office building don’t you think? 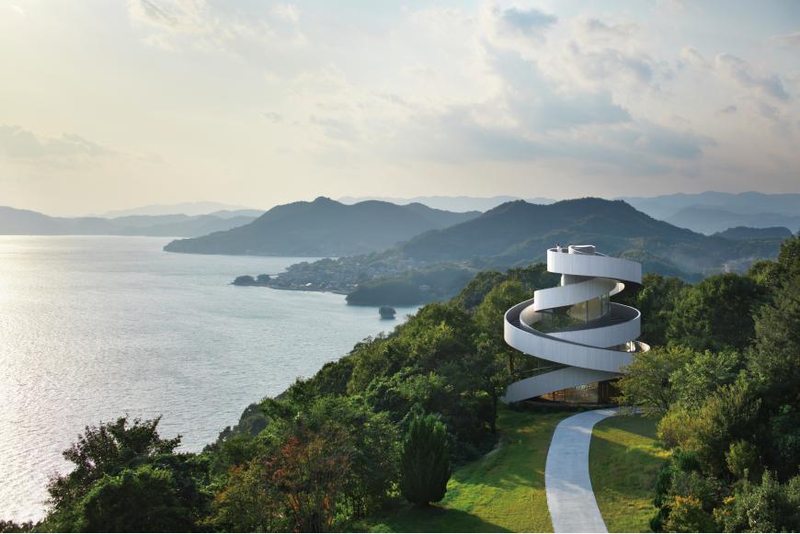 Category: Religion – Completed Buildings; Entry: Ribbon Chapel by Hiroshi Nakamura & NAP; Project city: Hiroshima, Japan; What we love: Our vote for “Building of the Year,” this concrete wedding chapel could not look more serene and beautiful. 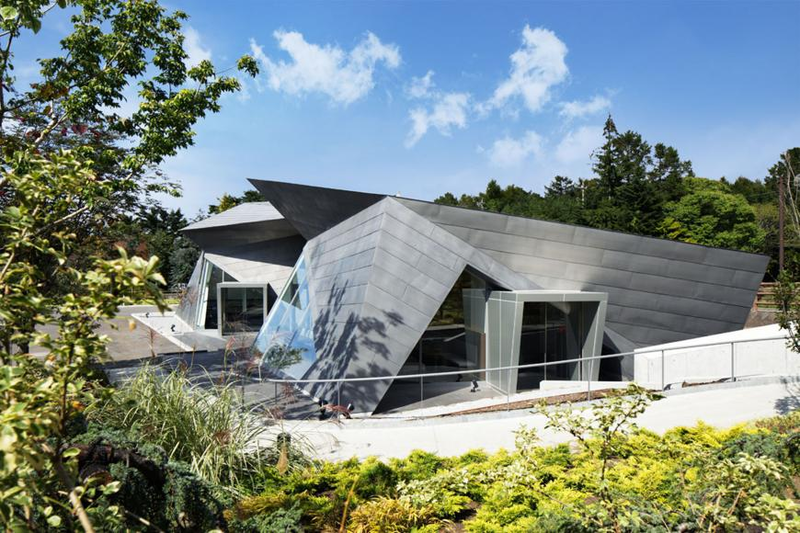 Category: Shopping – Completed Buildings; Entry: Hiroshi Senjyu Museum Karuizawa Cafe&Shop by Hideo Yasui; Project city: Karuizawa, Japan; What we love: Hideo Yasui nailed it. This is a designer’s design. 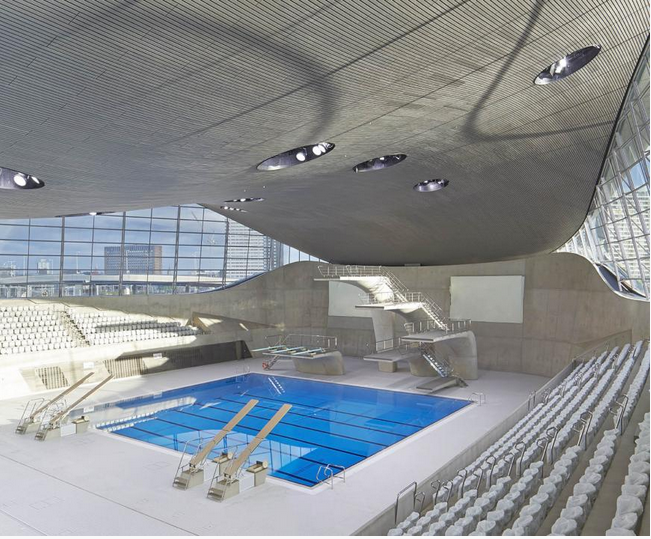 Category: Sports – Completed Buildings; Entry: London Aquatics Center by Zaha Hadid Architects; Project city: London; What we love: The use of light and space make for a tranquility that is simply unmatched in a sports venue. The lines are as clean and crisp as the pool’s lanes. 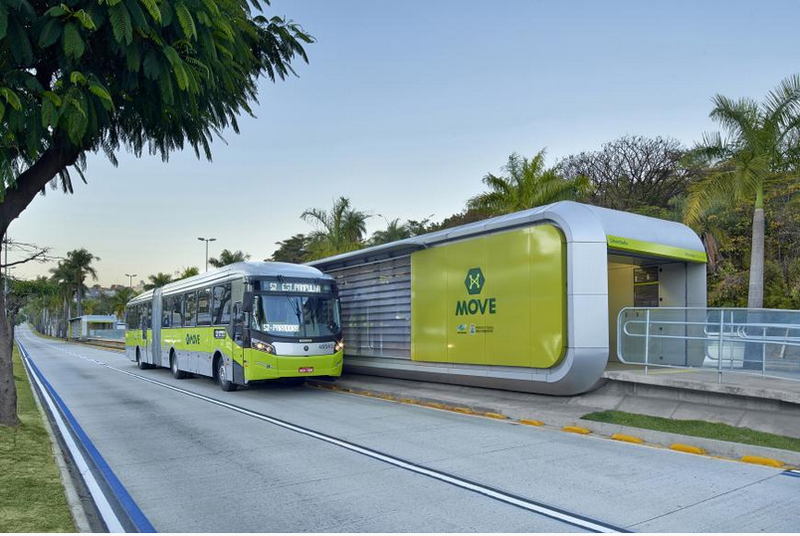 Category: Transport – Completed Buildings; Entry: BRT Station by Gustavo Penna; Project city: Belo Horizonte, Brazil; What we love: Sometimes you only know good design when you see it. We flipped this one over a few times but ultimately decided that less is certainly more with this boutique bus depot. If only all transit could be so efficient. Let us know which ones you like best in our comment section below. 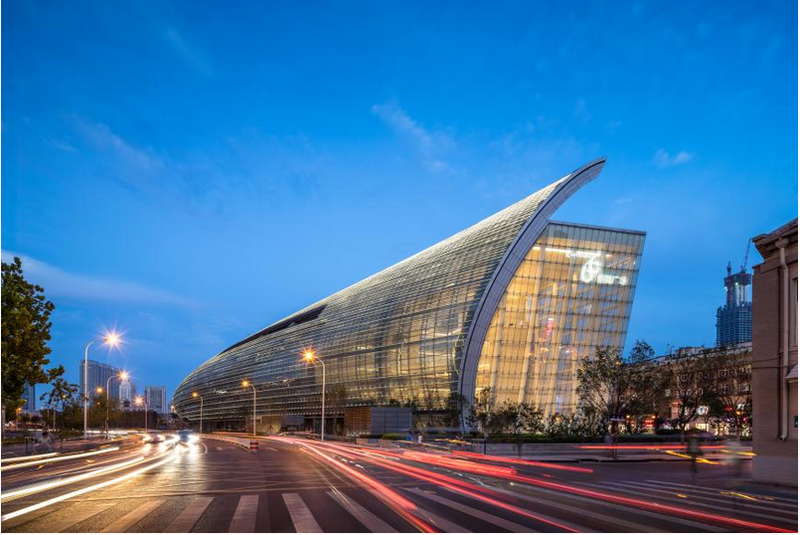 Click here to book your trip to this year’s World Architecture Festival and check out a slideshow of Business Insiders’ favorite submissions here.